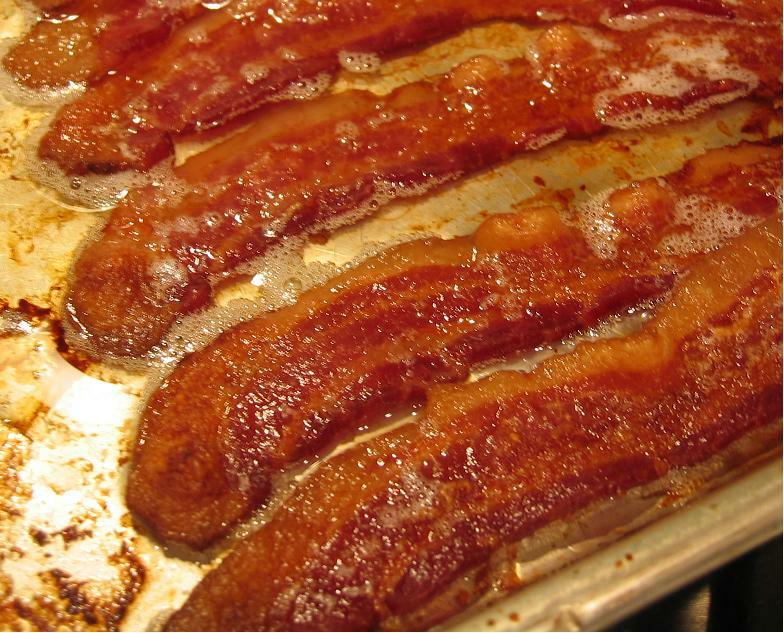 I like my bacon so crispy it breaks when you look at it. 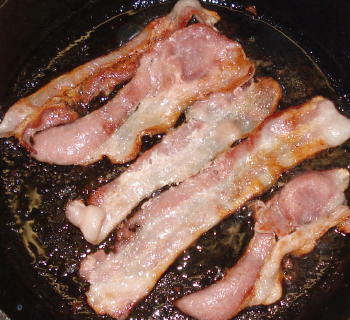 Floppy greasy moist bacon is a crime against the pig that died to provide it. 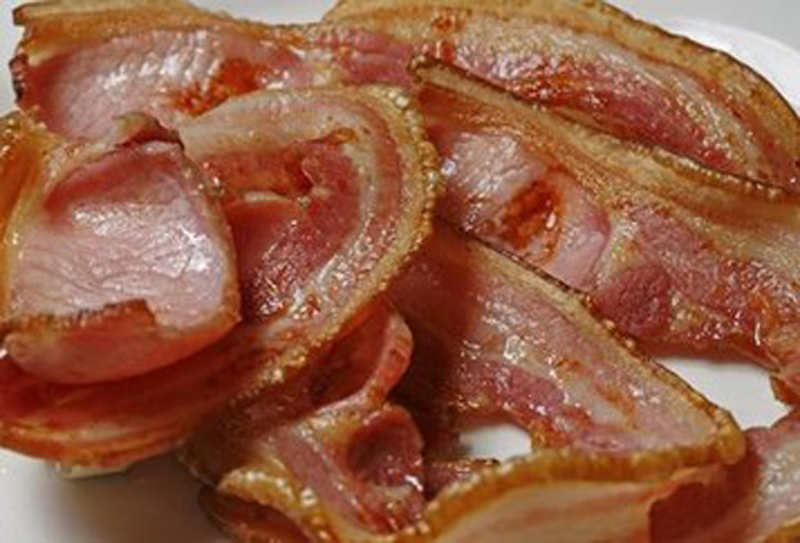 Crispy, but not “crunchy” bacon is my favorite. You can put it in a sandwich, and not worry about it disintegrating into bits when you take a bite. Speaking of bacon and sandwiches, I think I hear something in my fridge calling out to me. All Bacon is spectacular, except the Cops. Bacon cooked on the George Foreman grill is glorious! I think you’ve labelled your pictures incorrectly. The pics featuring succulent, juicy, tasty British-style bacon, you’ve titled ‘inedible’, which is obviously wrong. The photo’s showing the brittle strips of tasteless rubbish that are served instead of bacon in Canada, Aussie, and the States you appear to have labelled ‘wonderful’, again incorrectly. Hope my pointing out your mistake is useful to you, and you enjoy a ‘full english’ when you visit the UK! I am on your side. 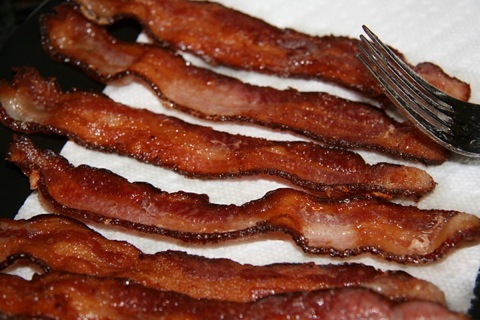 I love crispy bacon. Not when it crumples when you eat it, but just the right crispiness to get a good crunch when you eat it.